Did you know that accreditation for animal hospitals is voluntary? Surprising, isn't it? Only 12-15% of animal hospitals have gone through the accreditation evaluation process by the American Animal Hospital Association (AAHA). Accreditation by AAHA means that an animal hospital has been evaluated on approximately 900 standards of veterinary excellence. To maintain their accreditation, hospitals undergo a rigorous review by veterinary experts every three years. We are proud to call ourselves an AAHA-accredited hospital. Then there are the less obvious reasons like the depth of our love for all animals, the compassion of our veterinarian physicians, Dr. Bill Dean and Dr. Kate Goulbourn, and the more humane treatments we provide using our surgical-grade CO2 laser. Your pet will experience less pain, less bleeding and swelling and a quicker recovery from surgery with us. North Valley Pet Hospital is dedicated to providing excellence in veterinary medicine and client services. We will have a culture of personal accountability, education, and a unified vision to improve our reputation in the community. Our equipment and facilities will be renovated to provide the very best client experience and patient care. 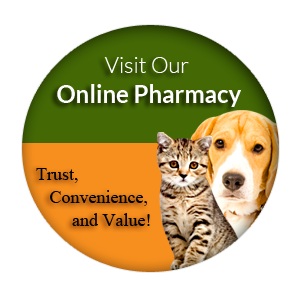 To work with you to provide the best care possible for your pet. When you need truly comprehensive and compassionate care or emergency vet services for your furry, four-legged friends, come to North Valley Pet Hospital. Call us at 928-768-8387 or fill out our online Portal and Online Scheduling link to schedule an appointment. Our patients come to us from Bullhead City, Fort Mohave, Needles, Laughlin, Mohave Valley and nearby locations.